There is nothing better than a road trip and this was my first winter time road trip in Alberta. We went from Edmonton to Jasper and back over a 5 day period and it was a great way to spend an extended Family Day long weekend in February. 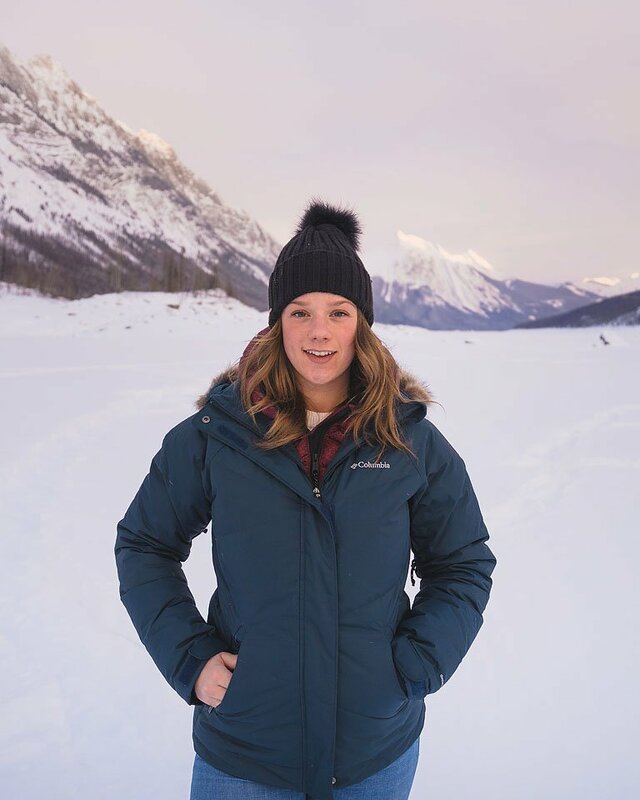 For this wintertime road trip in Alberta, we flew from Vancouver to Edmonton where we rented a car. Make sure you get one with snow tires! Our first stop was a visit to Elk Island National Park which is just a half hour drive outside of Edmonton. 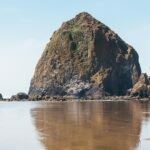 It is one of the flattest national parks and if you are lucky you can see bison. We parked and walked around but only saw a few bison off in the distance. Then, as we were leaving the park, a whole herd of them walked along the road right beside us. It was incredible! 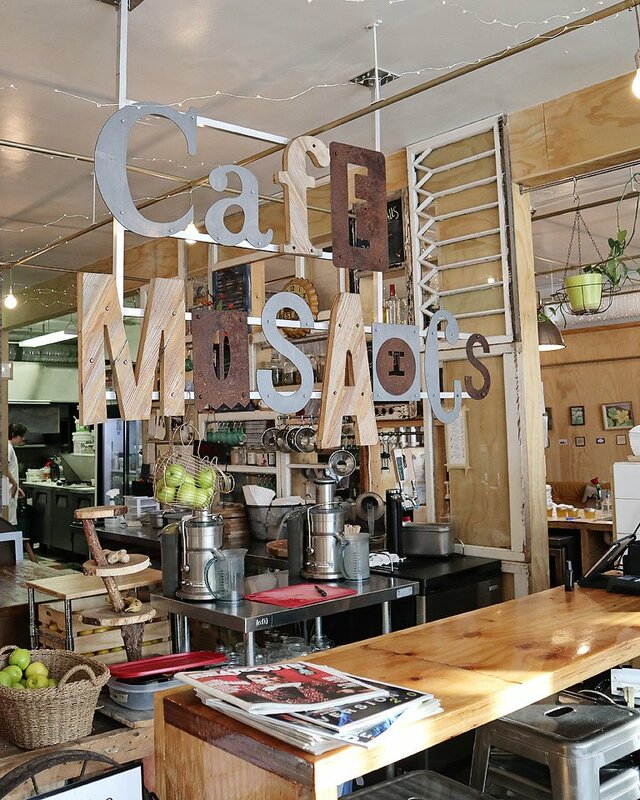 While in Edmonton, these are some great food spots to check out if you are looking for vegan and gluten free options. 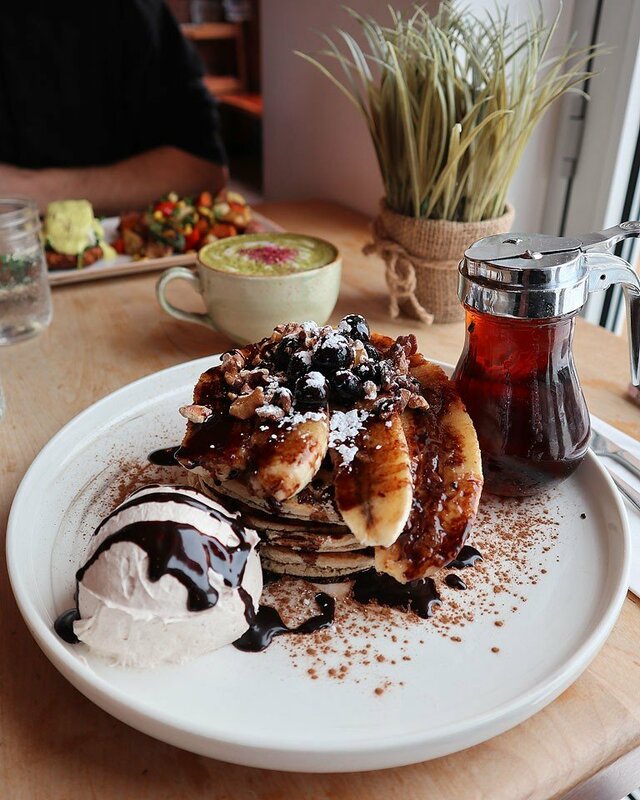 At Moth Café I ate the gluten free chai pancakes which were amazing. 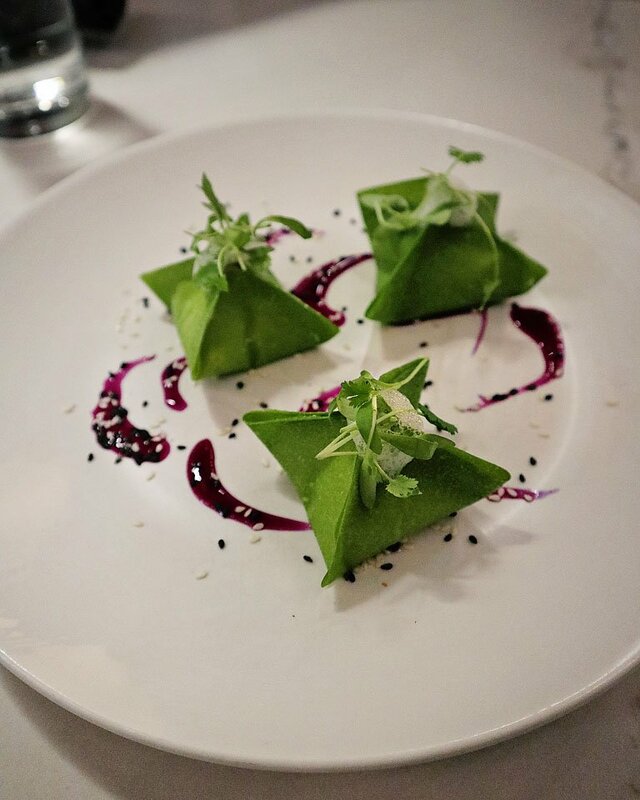 Kanu Café has delicious raw vegan food. We had the kimchee dumplings, nacho’s and the burger. We loved all of it! For activities, I would recommend the Ice Castles. 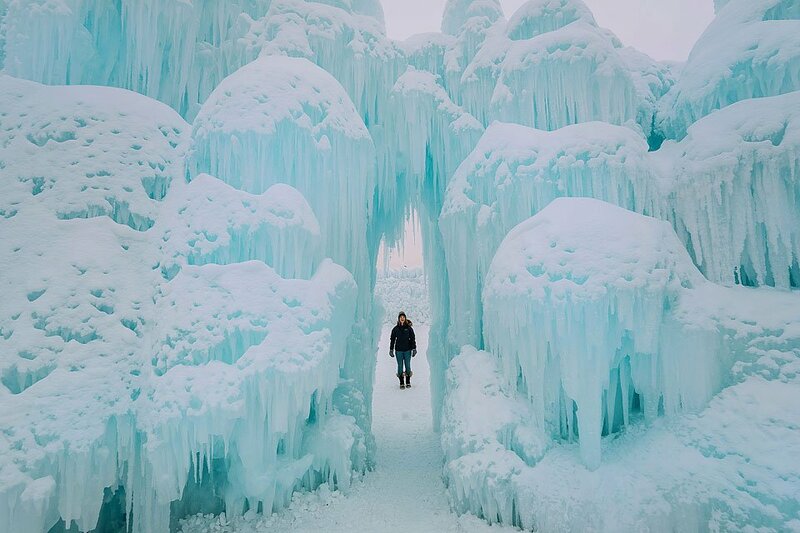 Each winter, professional ice artists use hundreds of thousands of farmed icicles and assemble them by hand into breathtaking ice sculptures, fountains, frozen thrones, ice-carved tunnels, slides, cascading towers, and much more. During the night hours, the frozen sculptures are lit with color-changing LED lights, and they look simply breathtaking. 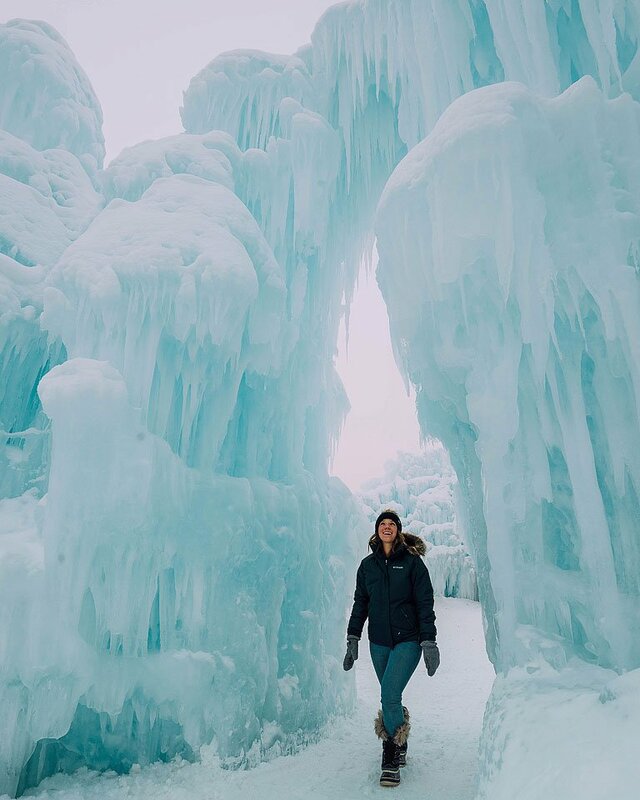 You can check out my blog post about my visit to the Ice Castles in Edmonton HERE. I loved the Ice Castles! 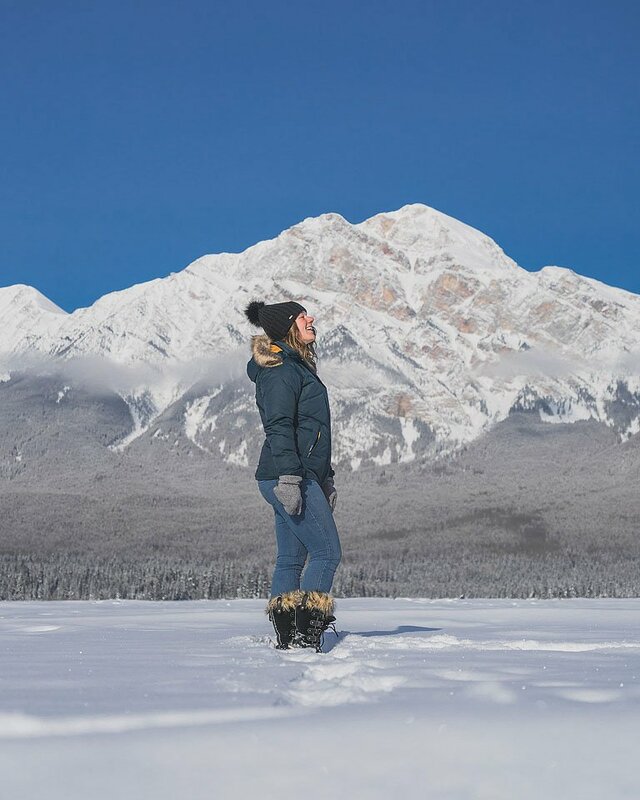 If you come to Alberta in the winter, make sure you plan a visit. A special thanks to Josh for joining me on this trip and taking my photos. 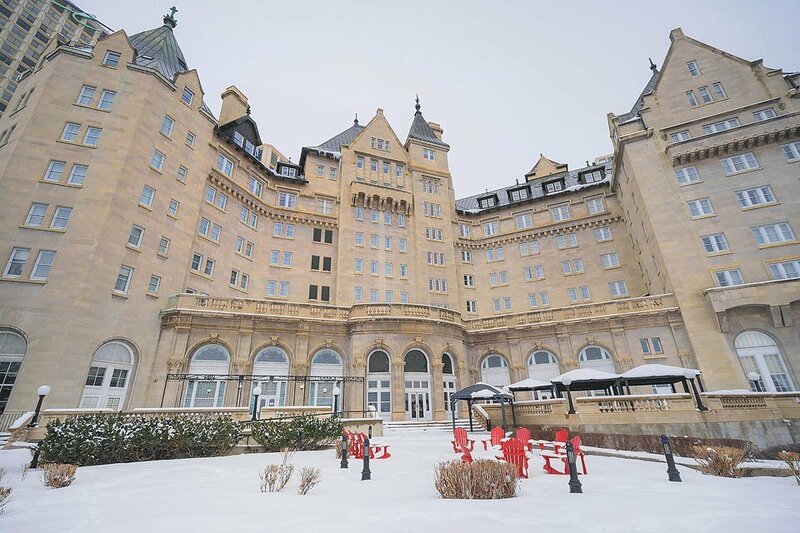 Fairmont Hotel Macdonald, located in Edmonton is a fabulous place to stay right downtown. 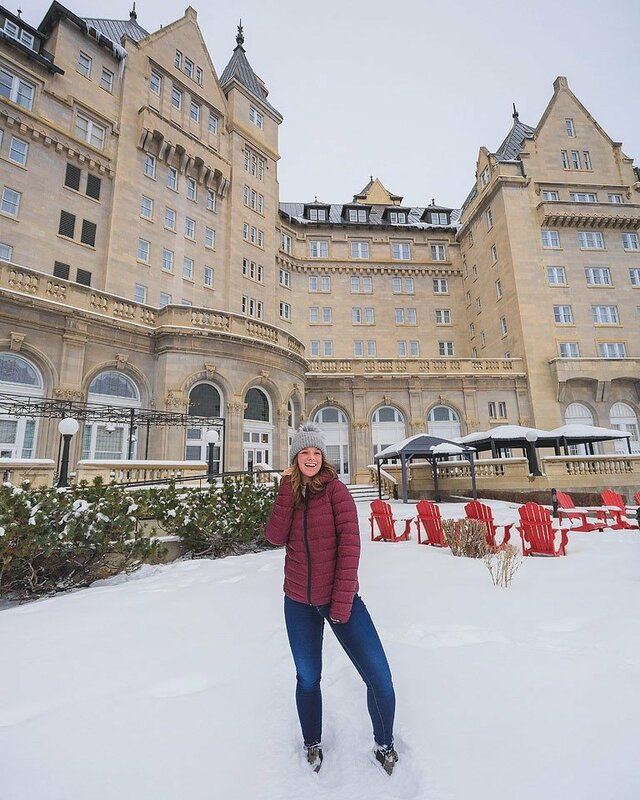 You can’t go wrong with a Fairmont hotel! It is charming and elegant at the same time, plus they have the sweetest staff. You know I always check out the gym when I stay at a hotel and I am happy to report that it has one of the best gyms. The central location makes it easy to walk around and enjoy the downtown area…if you can bear the minus 30 degree weather that we had. From Edmonton it is a 4-hour drive to Jasper, but it goes really fast. About 2 hours into the drive you start to see mountains and it’s the most breathtaking drive! It was a clear, sunny day when we drove, but if it was snowing, I expect you will take a bit longer to arrive at your destination. 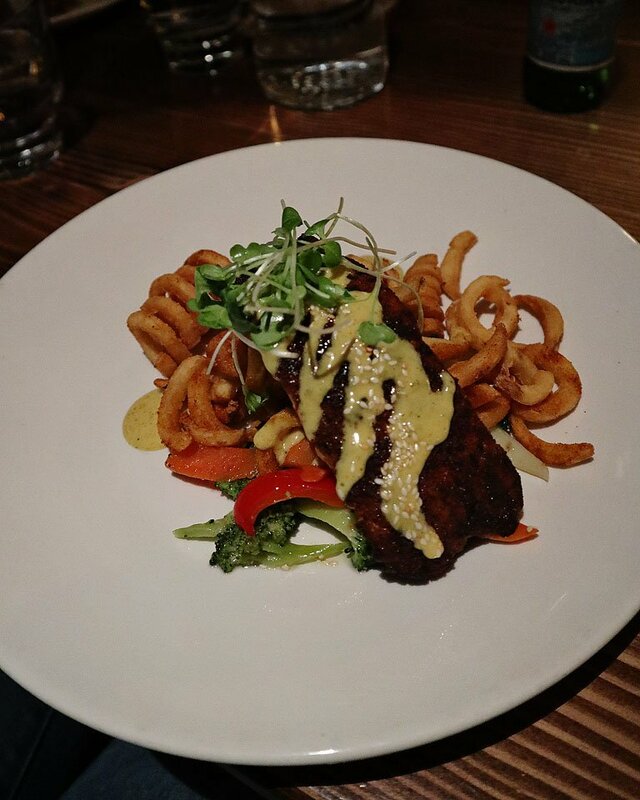 Once you get to Jasper, I suggest going on one of the Jasper Food Tours. 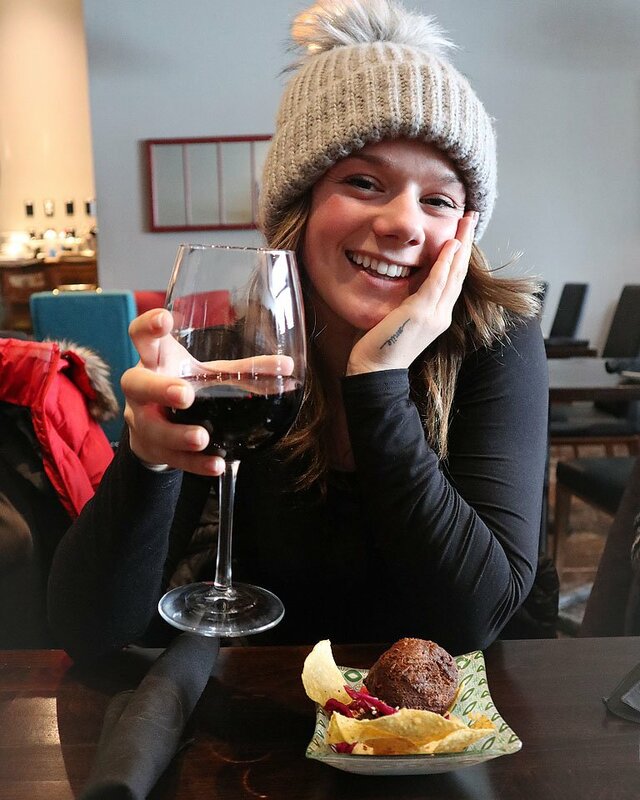 I went on the Downtown Foodie Tour where they take you to 4 restaurants in downtown Jasper. At each place you get one menu item and it is paired with a beverage. It was a great way to spend the afternoon. 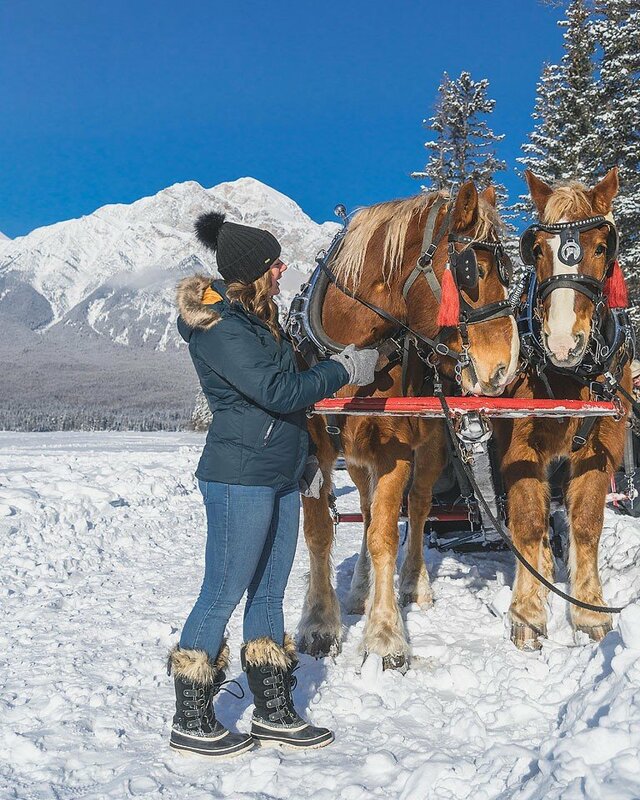 A real popular wintertime activity in Jasper is to go on a sleigh ride at Pyramid Lake. We went out with the Jasper Riding Stables. The bells and the winter wonderland make it all sorts of fun. Dress warm because it can get cold on the ride. 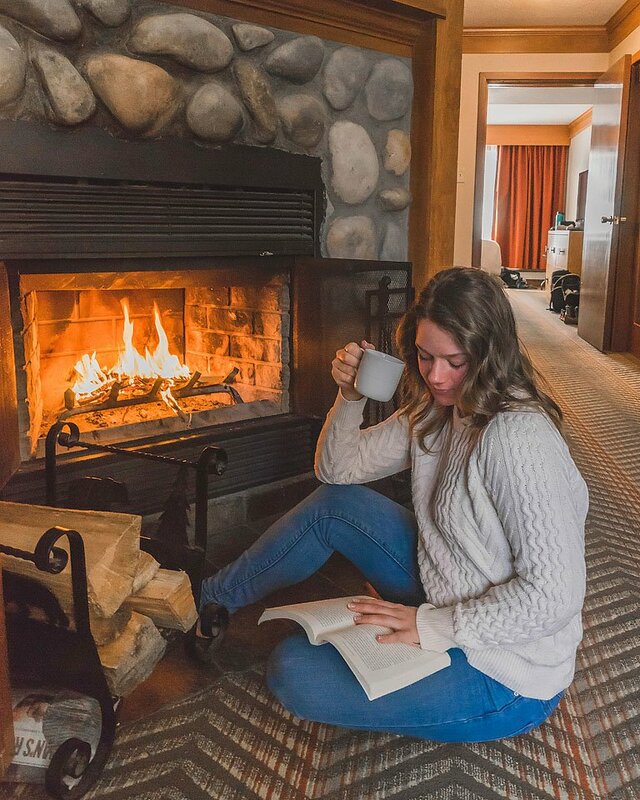 When visiting Jasper you must stay at the Fairmount Jasper Park Lodge. 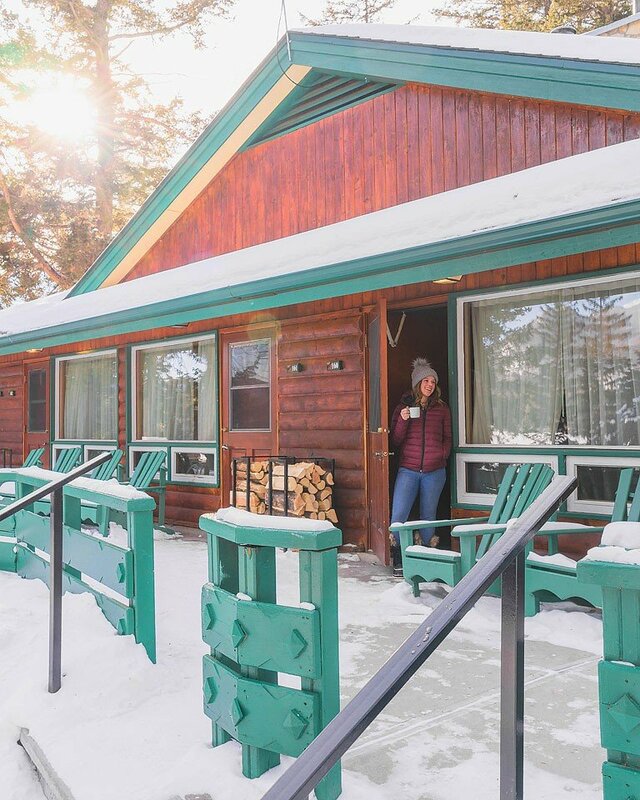 It is located about 15 minutes from town and it is an iconic lodge right in the Canadian Rockies. The hotel has charming cabins you can stay in which are so cozy. The fireplace was perfect to relax beside after a long day playing in the snow. The lodge has a pool and gym which are super nice overlooking the water. 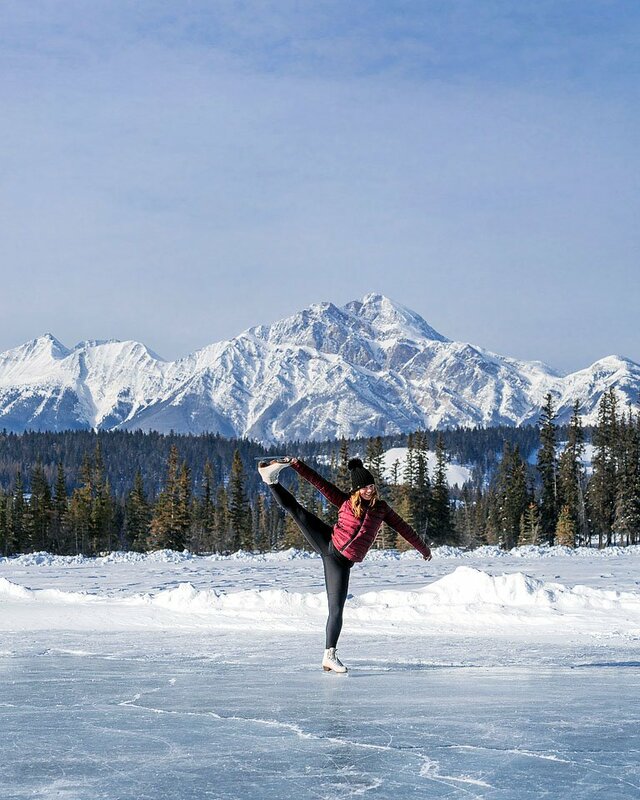 While at the Fairmont Jasper Park Lodge, go to the outdoor skating rink on Lake Mildred. This was the winter activity that I was most looking forward to. They have to areas for hockey and also figure skate – plus they have a cleared path to skate around the whole lake. Check out my Alberta Trip Vlog! 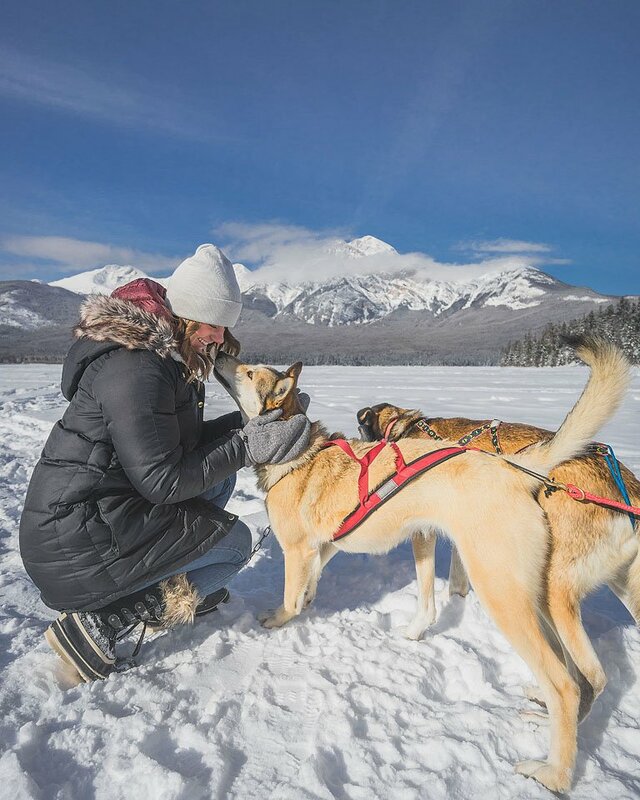 Make sure you check out my blog post “7 Things to do in Jasper – Winter Fun” here. 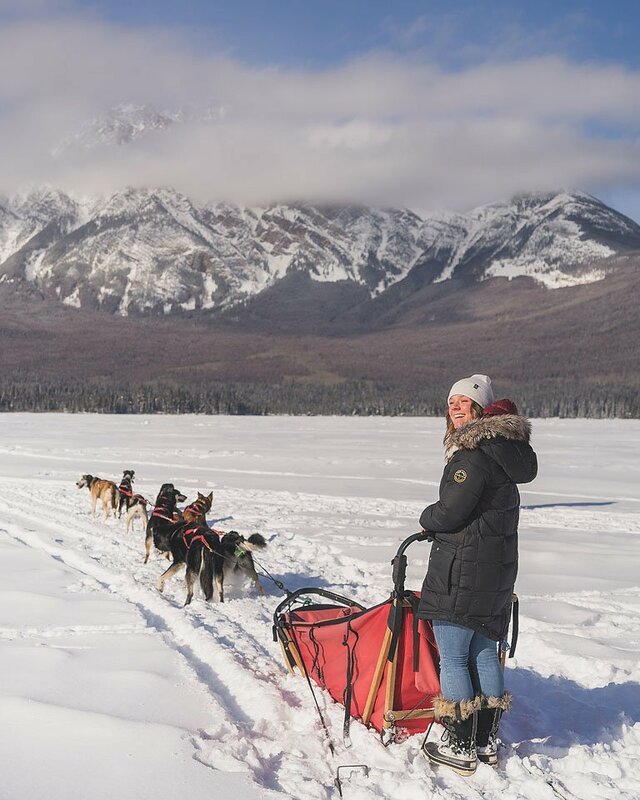 We went out dog sledding (or mushing) with Cold Fire Creek Dog Sledding. They can pick you up at your hotel but on the day we went, they were at Pyramid Lake which was really convenient. 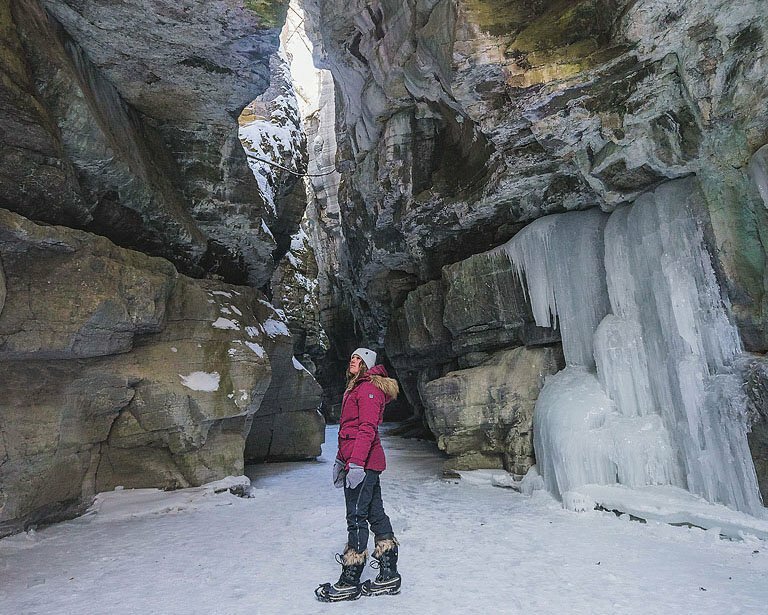 If you are up for an adventure, the Maligne Canyon Ice Walk is for you. Get on those layers and get in those boots because it is cold…even on a sunny day. 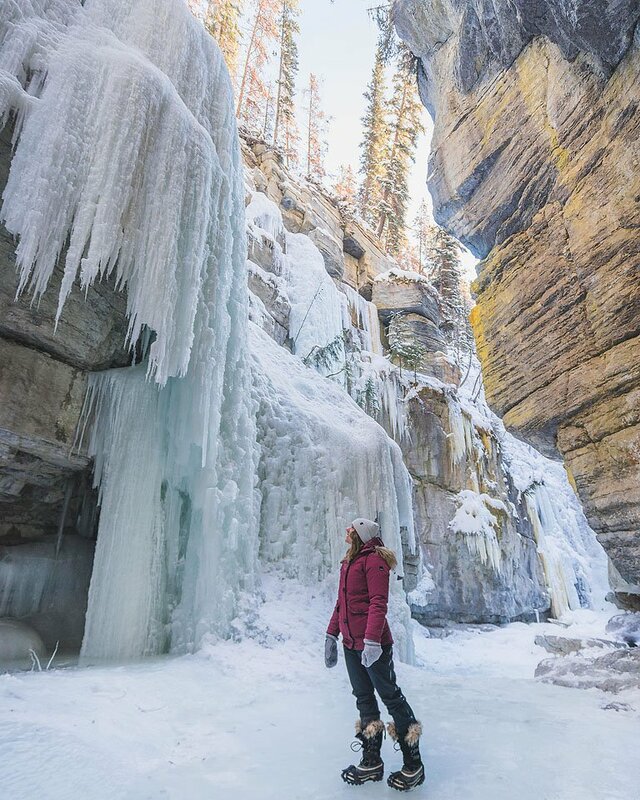 In the canyon you will find amazing ice formations and frozen water falls! If you are lucky if there is clear sky you might be able to see the northern lights. I wasn’t lucky enough but I hope I get to go back soon and try and see them. You can also ski and snowboard in Jasper at Marmot Basin. It is actually one of the highest elevation ski resorts in Canada!!! 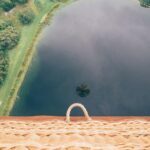 We didn’t have enough time to go this trip but everyone we met and all the locals said it is a must! Here are some places that I suggest you check out while in Jasper. So many options for those of us that are gluten free! This post has been sponsored by Tourism Jasper and Travel Alberta. All thoughts and opinions are my own. Thank you for supporting the brands that support me.